We may not get to enjoy the visual feast of cherry blossoms in Singapore (except at Gardens by the Bay), but at least we still get to enjoy decadent cherry blossom-inspired delights! Sweet in both taste and appearance, these treats will momentarily transport you to the land of cherry blossoms with every bite. Here’s a non-exhaustive list of where you can get these and satisfy your sweet tooth! Originating in Japan, Beard Papa’s is well-known for their cream puffs which have received love from all over the world. To welcome the cherry blossom season, Beard Papa’s has incorporated light and refreshing sakura custard cream into its signature cream puffs, giving you a total of three different types of sakura cream puffs to choose from! Available at all Beard Papa’s Singapore stores, for a limited time only. BreadTalk has new Japanese-inspired offerings and we’ve talked about them in detail here. Hai! Cheese and Sakura Snow Cheese are sakura-inspired Hokkaido milk cheesecakes that are wallet-friendly and also great for sharing. 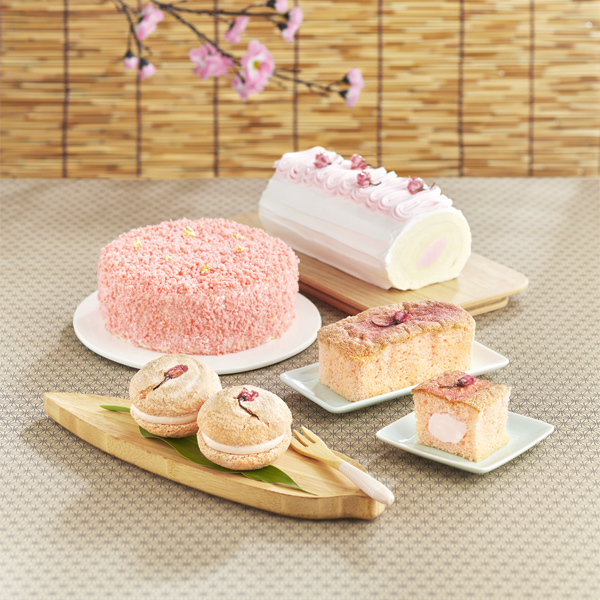 If cheesecakes aren’t your thing, then get Fuwa Fuwa Sakura, a fluffy pink sponge cake with plum Chantilly cream cheese. 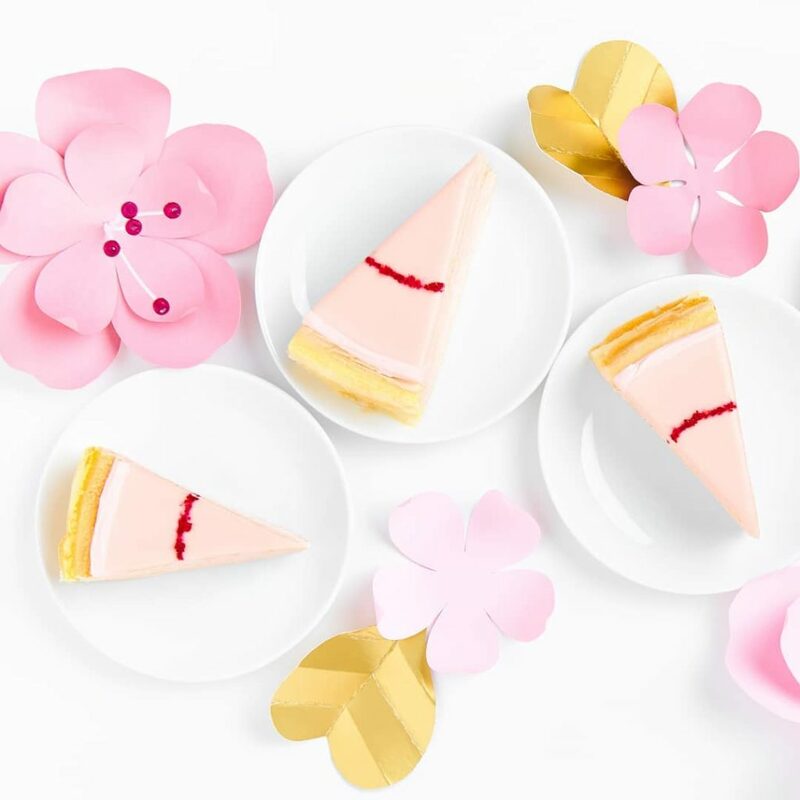 For a bite-sized treat, go for Sakura Cottony Cake, which has velvety butter cream infused with with tangy plum flavours! Available at all BreadTalk outlets in Singapore except Singapore Cruise Centre and United Square outlets from now until 5 May for Hai! Cheese, and until 12 May for Sakura Snow Cheese, Fuwa Fuwa Sakura and Sakura Cottony Cake. 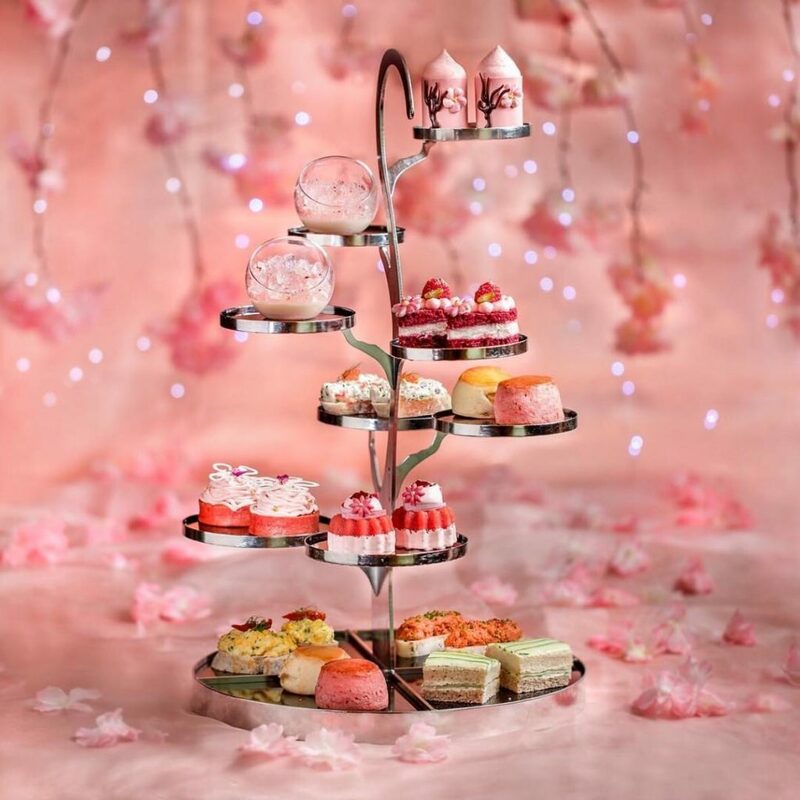 Enjoy a lovely afternoon together with your girlfriends over high tea with this pretty in pink sakura-inspired high tea set! Expect sweets like Sakura Mont Blanc and Sakura Panna Cotta with Sakura Jelly, as well as savoury items like Crabmeat Rilettes and Ikura Roe! Available at the Lobby Lounge of Conrad Centennial Singapore from now until 12 May 2019. Lady M’s Sakura Berry Mille Crepes cake is back again for Spring! It features sakura-flavoured white chocolate ganache and dehydrated strawberries on top of its signature crepes that are layered with strawberry-infused pastry cream. Available online and at all Lady M boutiques from now until 30 April 2019. 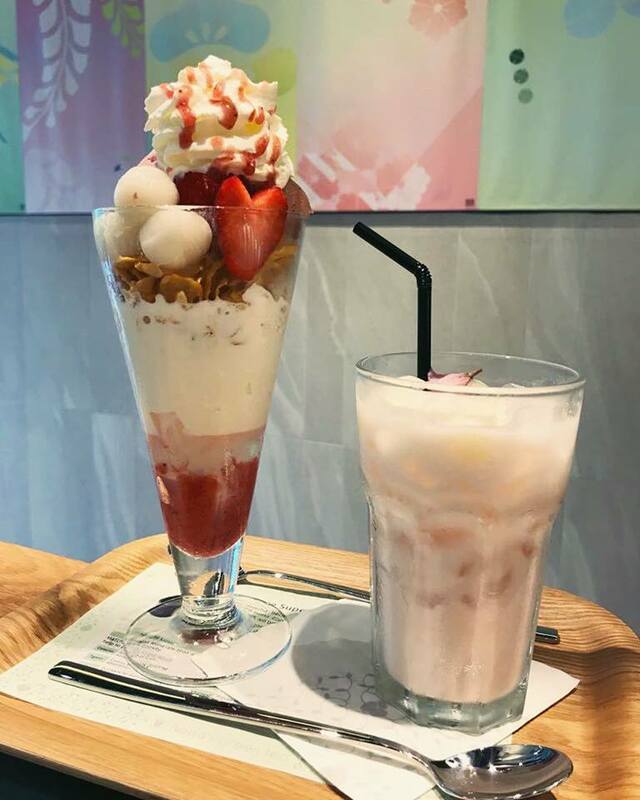 The Sakura mousse, Strawberry and Shiratama Parfait is a sweet and refreshing dessert with layers of sakura mousse, strawberry sauce and vanilla soft serve topped with sakura sweetened bean paste, strawberry ice-cream and shiratama dango for that chewy bite. Expect similar flavours for the Sakura, Strawberry and Shiratama Latte which you can get either hot or cold. Available at Nana’s Green Tea outlets at Plaza Singapura and DUO Galleria, for a limited time only.